Are you the type of clever clogs that can complete a Rubik’s Cube in a matter of seconds? 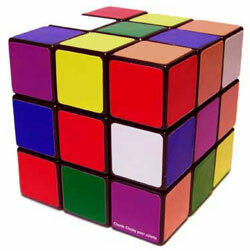 Well, you’re just the kind of person that needs the Claude Closky-designed Rubik’s Cube for Colette. And if you want one, it will cost you 20 Euros.